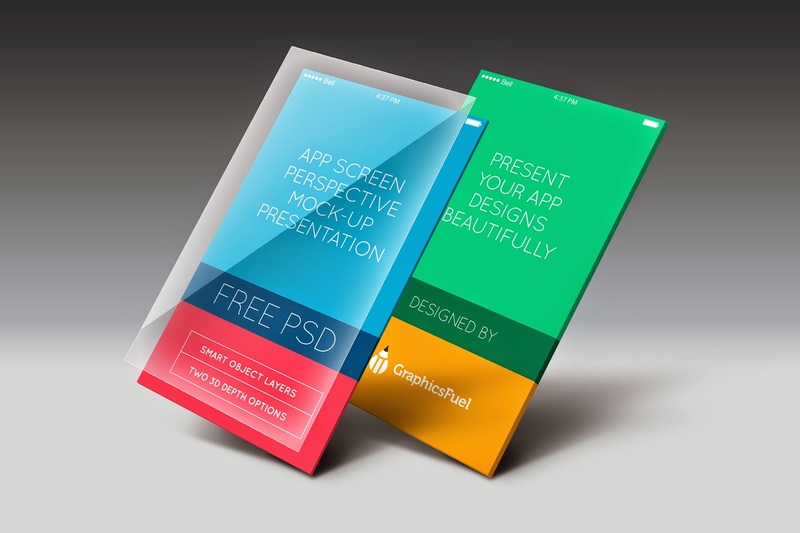 This is a FREE perspective mockup display for mobile app screens with two available options. These are super clean mockups created with editable smart-object layers in Photoshop. You can easily click the “YOUR SCREEN HERE” smart-object layer and add your own app screen inside the .PSB file and save to reflect the same in perspective on the mockup display. Additionally, there’s a glass screen on top of the layers to add some style and glossiness to your screens. You can also edit it or hide if you don’t want it. Also, the 3D depth for the mockups come in 2 options: thinner and thicker. You can play around and see for yourself which one fits you best.